Do You Need a Profession Power Washing Service Ocala,Fl? As horse capital of the world, Ocala, FL is a beautiful city full of rolling farm land and friendly people. Along with the beautiful scenery comes the humid weather that can wreak havoc on your Marion County home. It is very important that you take care of your home with the low-pressure Pressure Washing Services Ocala provided by Warren’s Power Washing. With years of experience and tried and true methods on their side, our team is ready to take care of any pressure washing needs you may have. If you’re noticing places on your home where rust in the well water has discolored the paint or it is showing signs of mildew due to the high humid conditions, it’s time to check consider a Pressure Washing Services Ocala . With patented cleaning solutions proven to bring life back to your home, you can expect amazing results. The low-pressure washing system will not damage your exterior of your home and will provide a clean, crisp result. The pressure used is similar to that of putting your finger over the end of a water hose. You can trust that with this pressure washing that your windows will not lose their seals and no vegetation will be harmed. You may not consider roof cleaning a part of house maintenance that you need but it is. Mold or mildew can also develop there and utilizing the services of an experienced Ocala pressure washer company is vital to make sure you do not lose the warranty on your roof in the process. Cleaning of your roof is done from a ladder so there’s no walking around on your roof. Another technician is also standing by rinsing vegetation and watching out for any issues that may develop during the process. Our team also takes care of washing your pool enclosures to ensure a fresh look and cleaning concrete driveways or around the pool area itself. Our pressure washing in Ocala team keeps debris out of your pool by cleaning away from the edge of the pool and then outward. Pool enclosures are also cleaned with a low-pressure system and you can swim right after it’s finished. 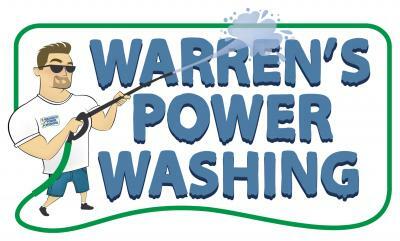 Call Warren’s Power Washing today to get your Pressure Washing Services Ocala needs covered! We are a Full Service Pressure Washing Services Ocala we also offer a full range of Commercial Pressure Washing Services Ocala. We service Marion, Citrus, Sumnter Counties that include Hernando, Ocala, Dunnellon, Belleview, Citrus Springs and All pArts in-between.